EAST END, Tortola, VI – As September 6, 2018, approaches it becomes harder and harder for the loved ones of Derrick Ragnaugth, to hold back the tears, as the pains of death will be felt all over again. 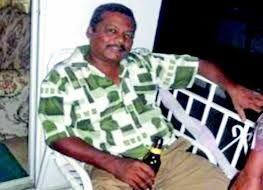 Ragnaugth, 56, a native of Guyana, South America and naturalised resident of Virgin Islands (VI), was one of two persons who died on September 6, 2017, at the hands of the dreaded hurricane Irma. 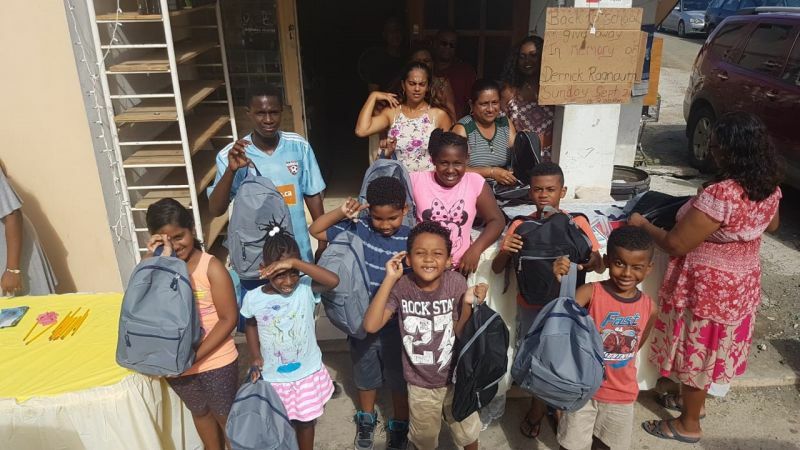 In a move to preserve his legacy as a community minded person, relatives on Sunday September 2, 2018, distributed back packs, filled with school supplies to over thirty 30 children. “This is one of many ways we want to celebrate the life of my dad,” said his daughter, Candacie Percival. He as a very popular businessman in the Long Look, East End community of Tortola which went into mourning at word of his tragic death. He died as a section of the building he was in at the time, collapsed on him. Many persons including his siblings, daughter and community members, described him as a businessman extraordinaire, and testified that he was the type to give more than he sold at his business. 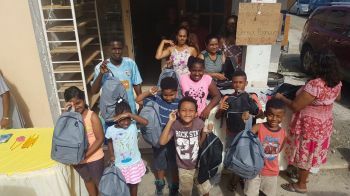 “I remember one time I told Derrick that he has to focus on making a profit and he told me nah man, people need help, I going get my blessing,” said one of his sisters Ms Jennifer R. Chichester. 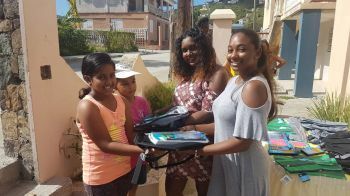 His daughter and sister during an exclusive interview with Virgin Islands News Online, spoke of persons coming to his shop for commodities without money and he would give them, until they could have afforded to pay. “That’s how my father was, that’s just him and there was nothing we could have done to make him change that way...He just loved helping people,” the daughter added. “Very often I would visit my brother in East End and once it was the weekend you bet I would find him having free give-ways almost every weekend for especially children, hot dogs and so he would prepare and just share with the community...If there was anything going on in the community Derrick was always ready and willing to support. How can we not miss a person like this, tell me how can we?” said Ms Chichester. Great initiative. May God bless you all for this kind gesture, in such hard times. I pray that the blessings will return in double measure to you all. Great gesture on behalf of a very good man. Known him from the time he migrated to the VI. Always pleasant and had a great sense of humor. RIEP my brother.